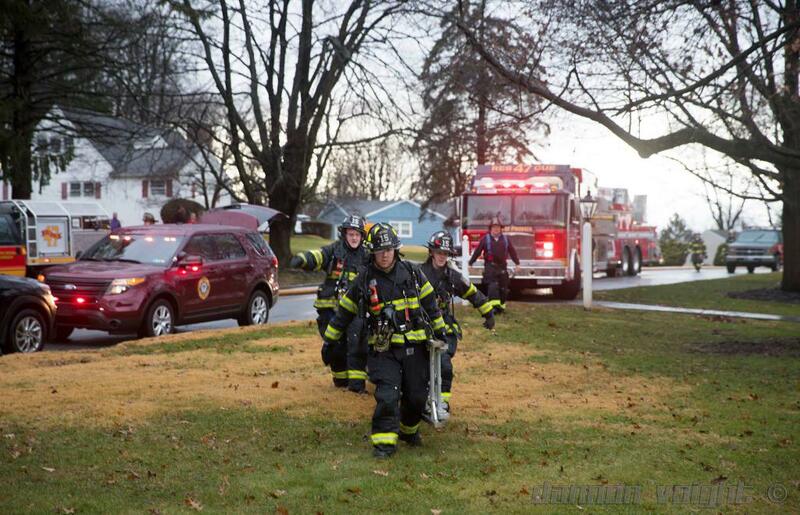 Radnor Fire Company's Quint 15 and MICU 15 were dispatched at 3:22 p.m. Thursday to the 400 block of Brookwood Rd., in Upper Merion for reports of a house fire. 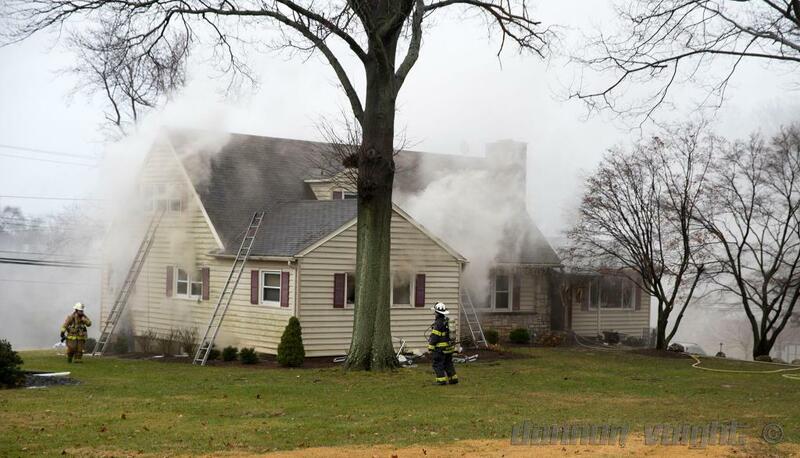 Upper Merion's Engine 56 arrived to a two-story, single family dwelling to find heavy smoke and fire in the basement. Command requested a second alarm shortly after. 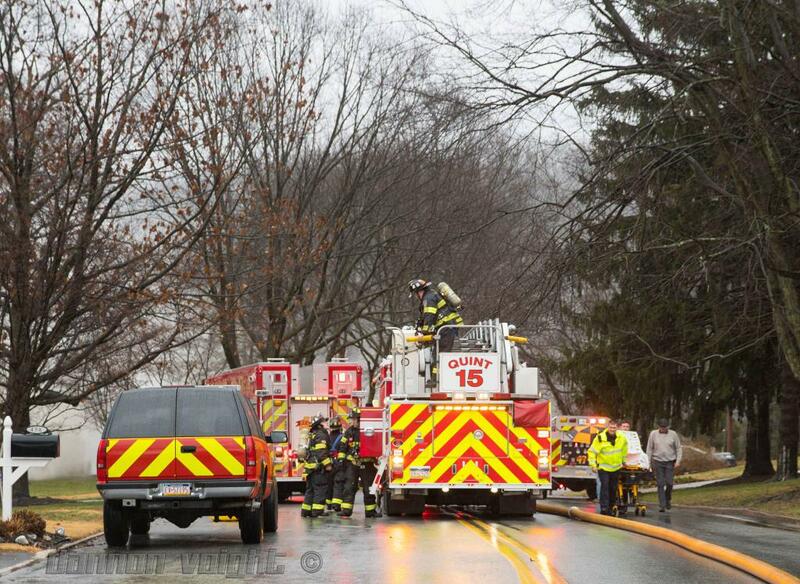 Quint 15 fire fighters provided ground support and stood by to provide the rapid intervention team if necessary. Photos: Courtesy of Dannon Voight Photography.